I have another completed nursery to share. It’s been a fun few days for me receiving photos of a few nurseries I designed. I am also honored that Project Nursery liked my ‘Delight’ nursery enough to be picked as readers favorite. It is always special to receive confirmation that something you helped create is liked by many. 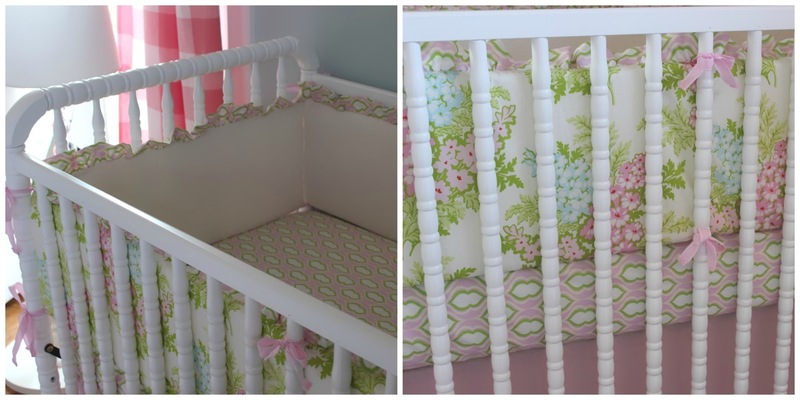 I am sure you are all going to like this nursery/ guest room just as much. I happen to work on ‘Delight’ and ‘Bonjour’ at the same time and I just loved that the color schemes were completely different from one another. This room is sweet and full of soft pastels. There are touches of matelasse and velvet adding rich texture to the space. Personal items bring extra special meaning to this nursery like song lyrics to “Over the Rainbow” framed reminding mom and dad of their wedding day. The dress hanging from the shelf was my clients dedication ceremony dress she wore when she was a baby. The guest bed was worked into the space so that it complimented the design and continued to provide a night time spot for mom to rest, or a place for grandparents to sleep when they come to visit. I hope you enjoy! SO cute! 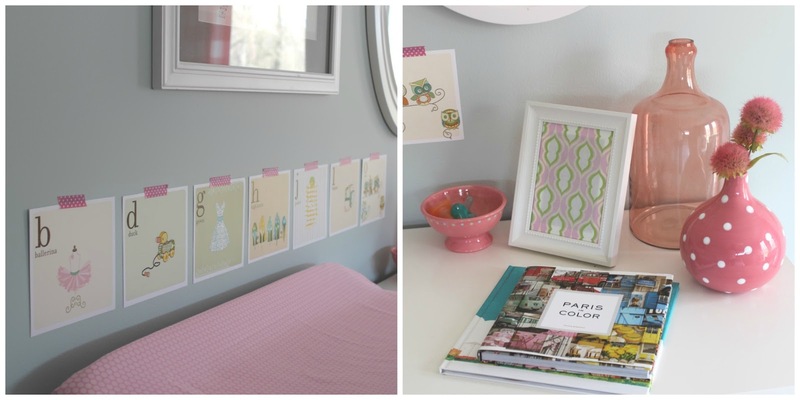 Love the wash tape flashcards and the curtains…and everything else! Love the nursery. My walls are BM metropolitan and they look very similar. Could you tell me where you get the bedding from? It would look great in our little girls nursery! Hi Beth…The crib bedding was actually custom made. Unfortunately, the fabrics are no longer available. Where is the cute side table from?